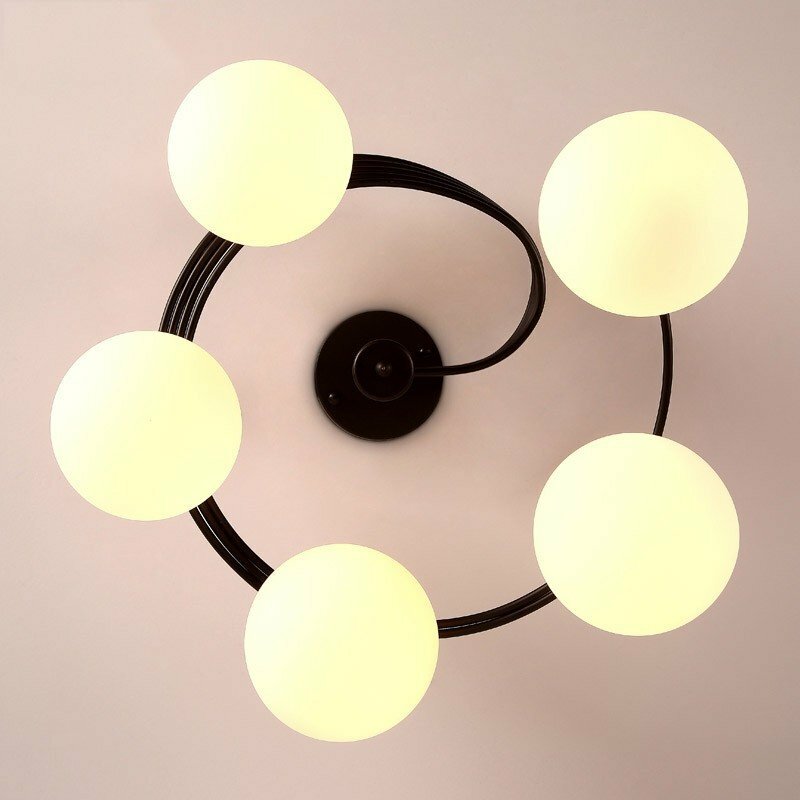 This stunning semi flush mount is designed to add a burst of contemporary style to your living space. Featuring three or five white glass globes extended from the slender arms, it will offer soft and ambient lighting when illuminated. 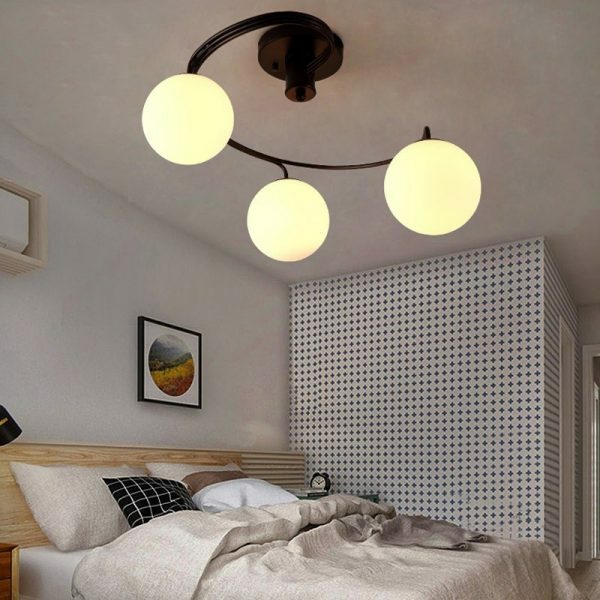 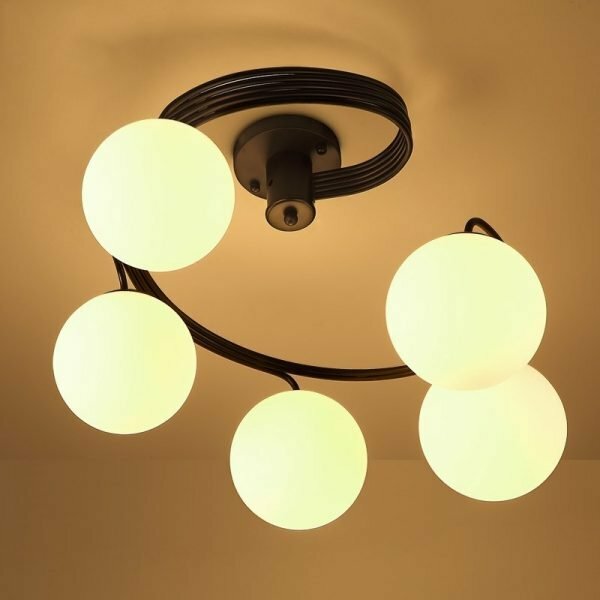 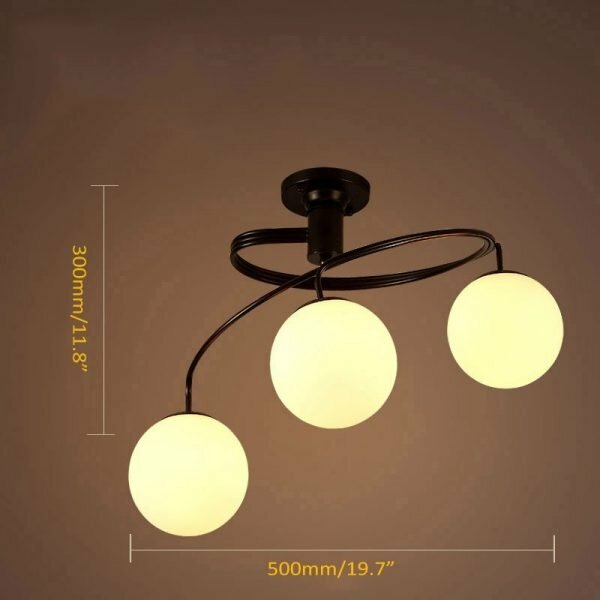 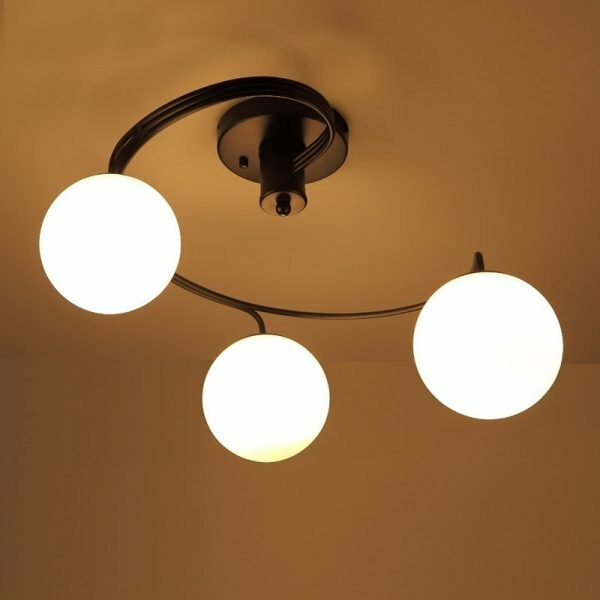 It’s swirling arms enhance the rounded allure of this delightful light fixture. 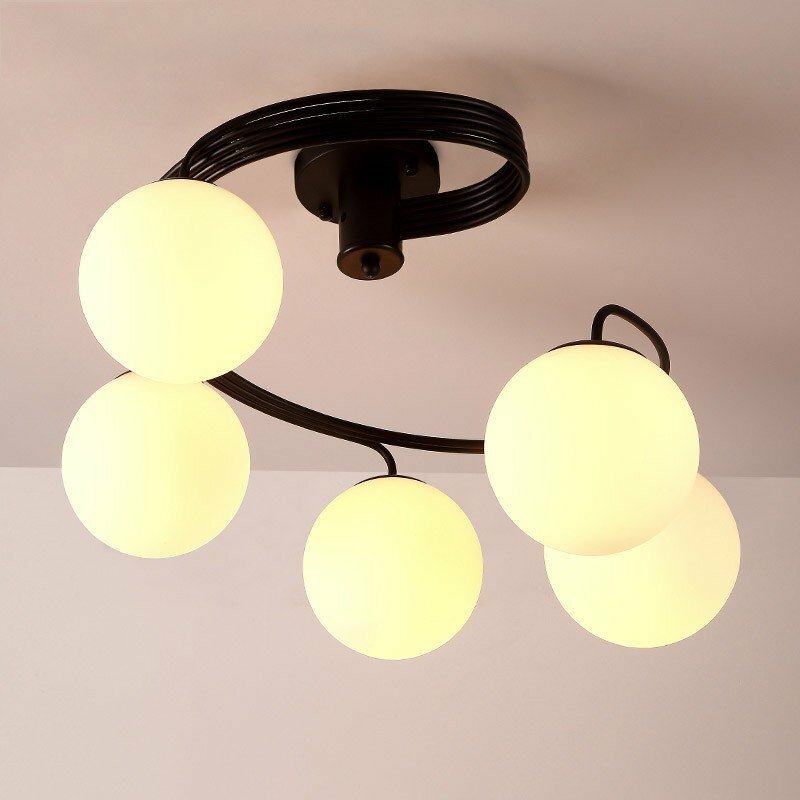 The understated black finish of the arms makes a handsome contrast to the milky white glass globes, and adds a bit of depth to your home. 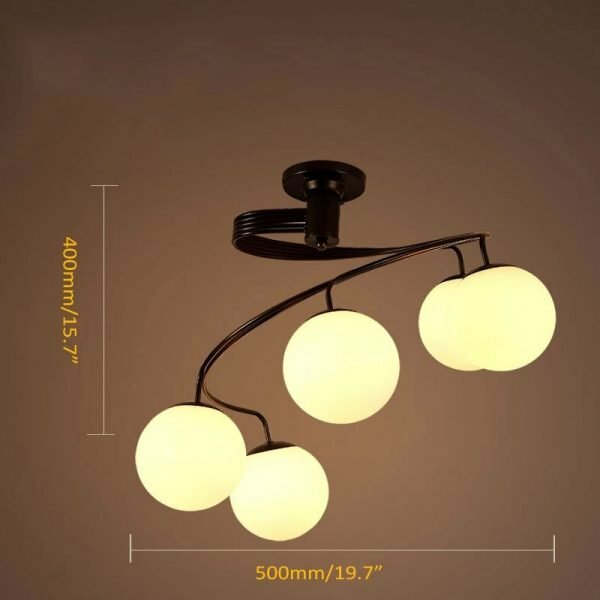 Suitable for bedroom, kitchen and more, it will be a conversation piece to enchant your home.